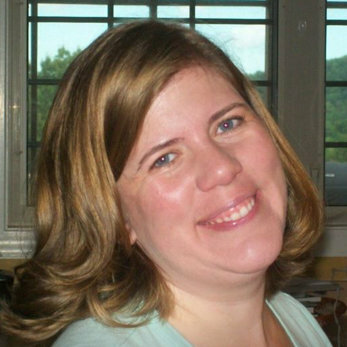 Amy Laura Powers Stapp, age 45, of Lenexa, KS, passed away Saturday, September 8, 2018, at St. Luke's Hospital, in Kansas City, MO. Amy was born October 21, 1972, in Clarksville, TN, to Bobby Powers and Susan Taylor Powers. She was an accountant and a member of the United Methodist Church of the Resurrection. A Celebration of Life Service will be held Thursday, September 13, at 1:00 PM, at Madison Street United Methodist Church, with Rev. Cheryl Bell and Rev. Harriet Bryan officiating. Burial will follow at Powers Cemetery. Visitation will be Wednesday, September 12, from 2:00 to 7:00 PM, at Neal-Tarpley-Parchman Funeral Home, and Thursday, September 13, from 12:00 PM until the hour of service, at the church. In addition to her parents, Amy is survived by her husband, Thomas Cayce Stapp; one son, Thomas Cullom Stapp of Tuscaloosa, AL; two daughters, Emma Katherine Stapp of Lincoln, NE and Isabelle Margaret Stapp of Lenexa, KS; brother, Bryce Allen (Karen) Powers of Palmyra, TN; two sisters, Mary Frances (Jason) Daugherty of Cumberland City, TN and Susanna Lind Powers of Clarksville, TN. Pallbearers will be Bryce Powers, Jason Daugherty, Clay Powers, Nathaniel Taylor, Conroy Taylor, and Jeremy Means.